Mists of Palenque Series Book 4. Blog Tour Dates January 7 – 11, 2019. Journey back 1300 years to the splendor and intrigue of Mayan civilization, the most advanced in the Western World. 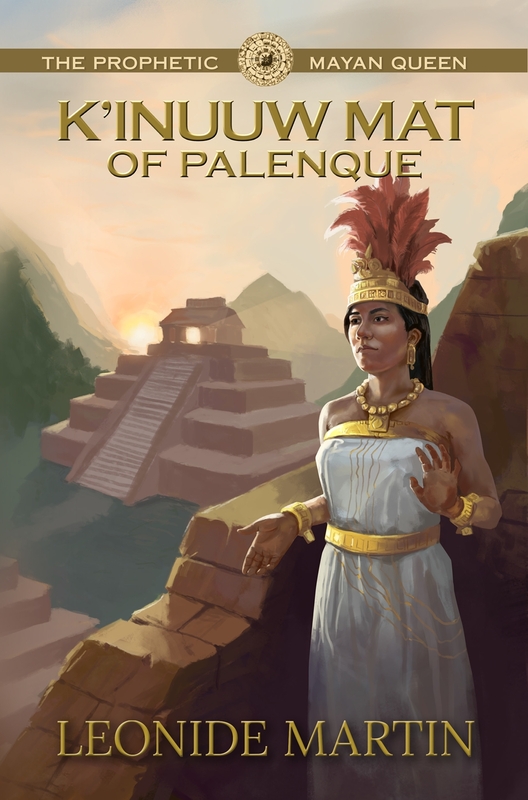 K’inuuw Mat, a royal girl who wants to dedicate her life to serving Mother Goddess Ix Chel, instead finds her destiny is marriage into the Palenque royal family, overlords of her region. With her skills in scrying and prophecy, she seeks a vision of her future husband. But, upon arriving at his city, she realizes the face she saw is his older brother, Kan Bahlam. They are immediately attracted, though she resists and follows through with marriage to the younger brother. As family conflicts, regional politics, and high court dramas play out, K’inuuw Mat shares astronomical interests with Kan Bahlam while keeping her distance. He schemes to fulfill his passion for her, assisted by fateful events that bring them together in most unexpected ways. 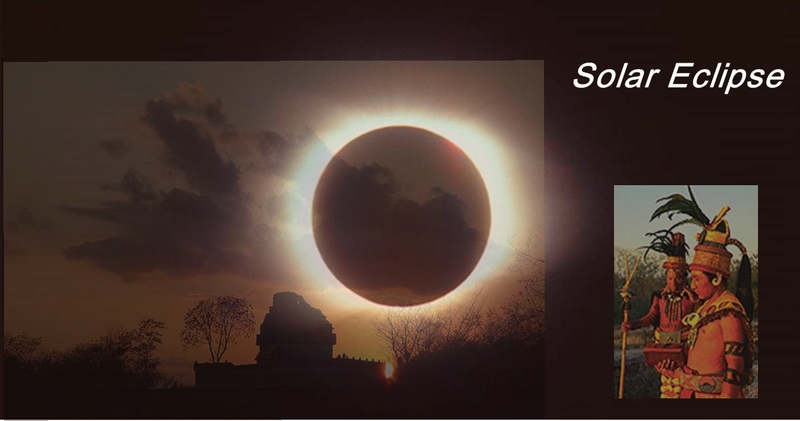 The Goddess gives K’inuuw Mat a mandate to preserve Mayan culture for future generations, as their civilization begins the decline her prophecy foresees. She rises to meet the challenge, aided by mystical connections with ancestor women rulers who give guidance through visions. Her children help carry out the mandate through surprising links with Kan Bahlam. K’inuuw Mat on right, her husband Tiwol Chan Mat on left, offering rulership symbols to their son. seated on the right, where she offers a symbol of royal status to her son. Her husband, Tiwol Chan Mat, is seated on the left. 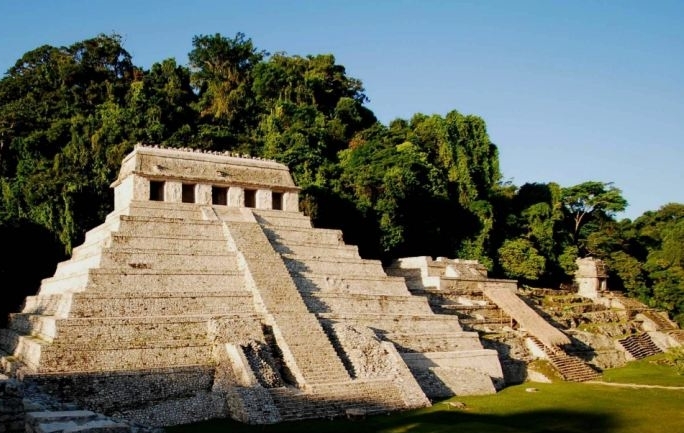 Not much is recorded about her life, but there is a lot of information about the men surrounding her–the ruling family of Palenque and their magnificent architectural and artistic creations. Many characters are from this family, their courtiers and warriors. Fictional characters help fill out the complex relationships and intrigues. 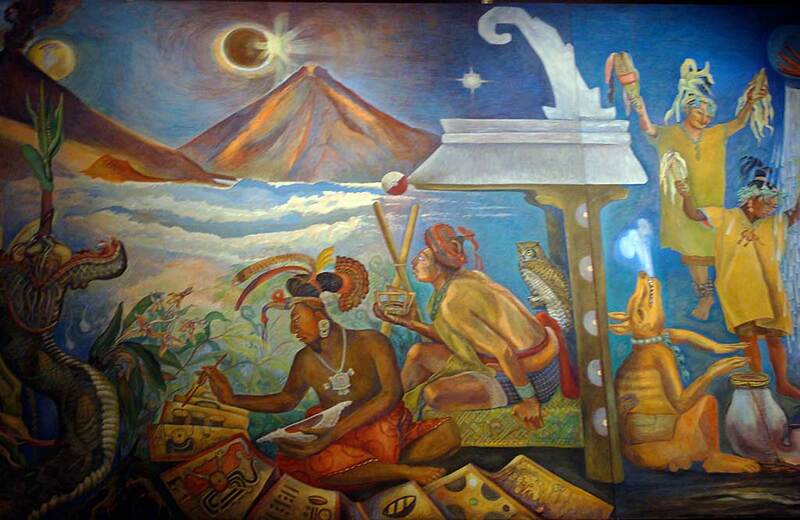 To the Mayas, spirituality merged with everyday life. 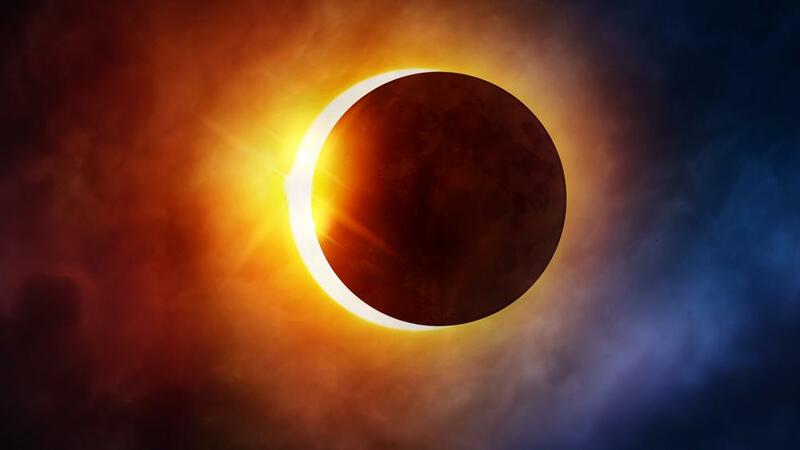 They moved between dimensions to meet with star ancestors, sky Gods, Underworld demons, shamans, tricksters, and deities who influenced every aspect of life. Rulers and priests were trained as shamans, did vision quests, and used hallucinogens to alter consciousness. They interacted with deities, cast spells, and had visionary powers. During trance rituals where they offered their own blood, the most precious substance to the Gods, they saw incense smoke turn into the Vision Serpent. From its huge jaws they saw an ancestor or God’s head emerge, giving predictions or answering questions. I hope you’ll want to read this book, and plunge into the Maya’s exotic, advanced, and astonishing culture full of passion, pageantry, and mysticism. 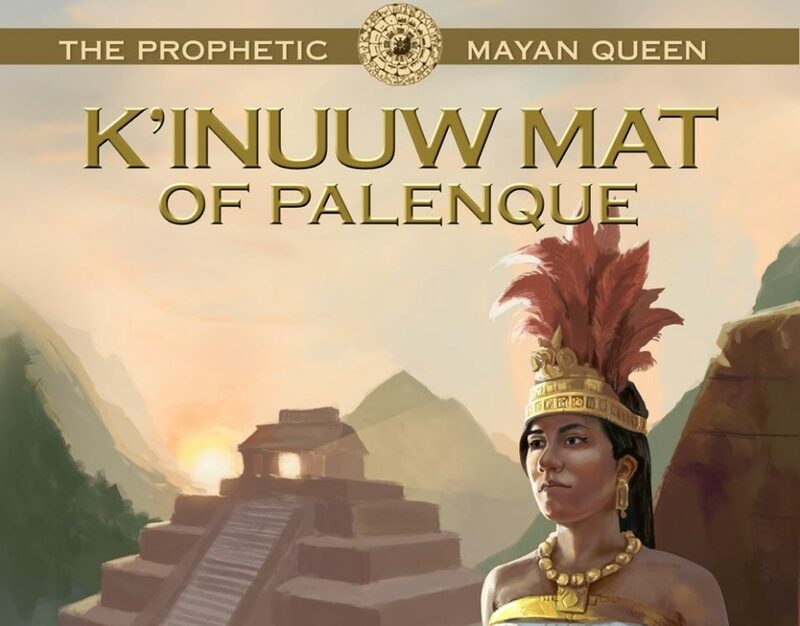 The Prophetic Mayan Queen: K’inuuw Mat of Palenque. Mists of Palenque Series, Book 4. 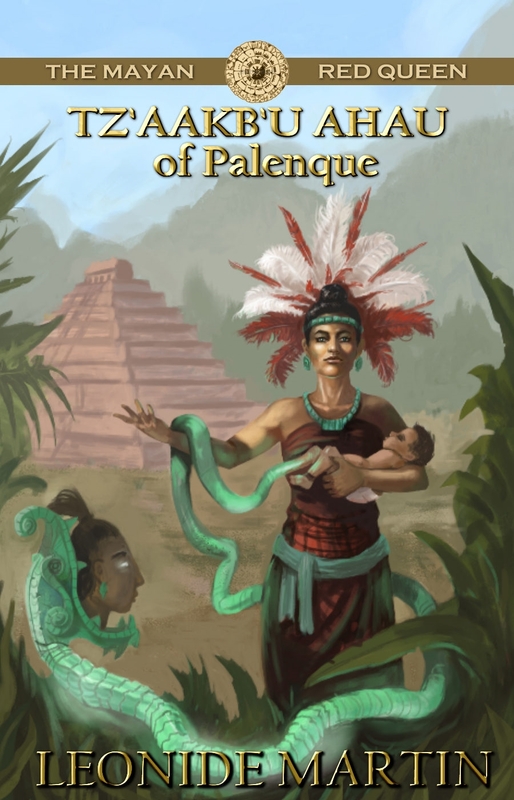 Each book in the series stands alone and tells the story of a real ancient Mayan Queen. Learn some little-known trivia about the Mayas, and find out some things you never knew about me. On the blog tour I’m answering a variety of interview questions, and writing some guest blog posts. The interviews were lots of fun, asking such questions as “What made you want to be an author,” “What is your favorite part of this book.” ‘Which character would you go drinking with,” “What should readers expect from this book,” “Tell about the cover and the inspiration for it,” “What part of the book’s world would you want to visit for a day,” “If a dwarf challenged you to a duel what would you do,” and details about my writing habits and quirks. 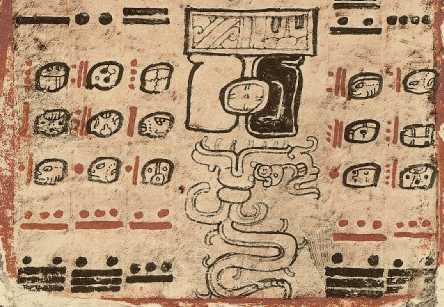 My answer to the last question might surprise you, and it gives insight into the Maya world. Visit each blog on the date listed below. Be sure to enter Rafflecopter for a chance to win an Amazon or Barnes&Noble gift certificate! Tour by Goddess Fish Promotions. 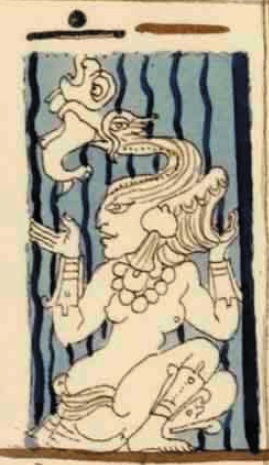 continued to be an enigma to archaeologists for nearly two decades after her tomb was discovered in Temple XIII at Palenque in 1994. Her skeleton and inside of her sarcophagus were coated with red cinnabar, a mercuric oxide preservative used in royal burials. 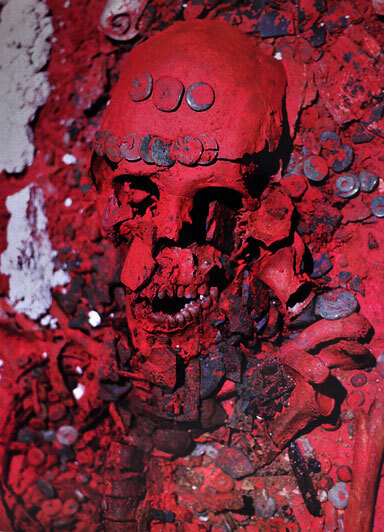 This led archaeologists to nickname her “The Red Queen.” It also made analysis of her bones and teeth difficult, and many years passed until scientific techniques advanced enough to provide reliable data. The lack of inscriptions and the sparse ceramic evidence found inside her tomb further muddied the waters. 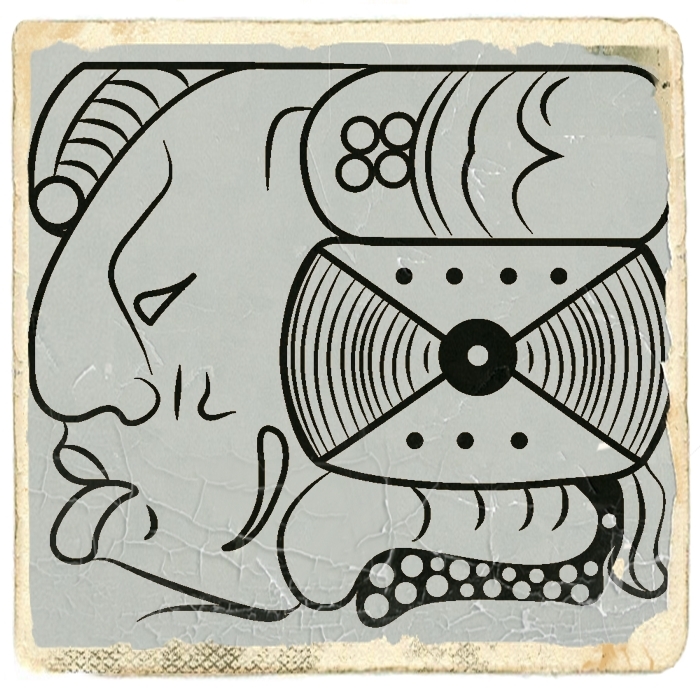 Most Mayan royal tombs contained carved or painted hieroglyphs identifying who was interred. The adjacent pyramid tomb of K’inich Janaab Pakal in Palenque was full of hieroglyphic records; his ancestors were carved on the sides of his sarcophagus, important gods and mythohistoric figures were painted on the crypt walls, and the sarcophagus lid clearly identified him. Numerous ceramic offerings allowed dating of the interment to the late 600s AD. ceramics few. The shape and characteristics of the censer, vases and plate found in her tomb corresponded to the Otolum ceramic complex, which has been placed between 600-700 AD. 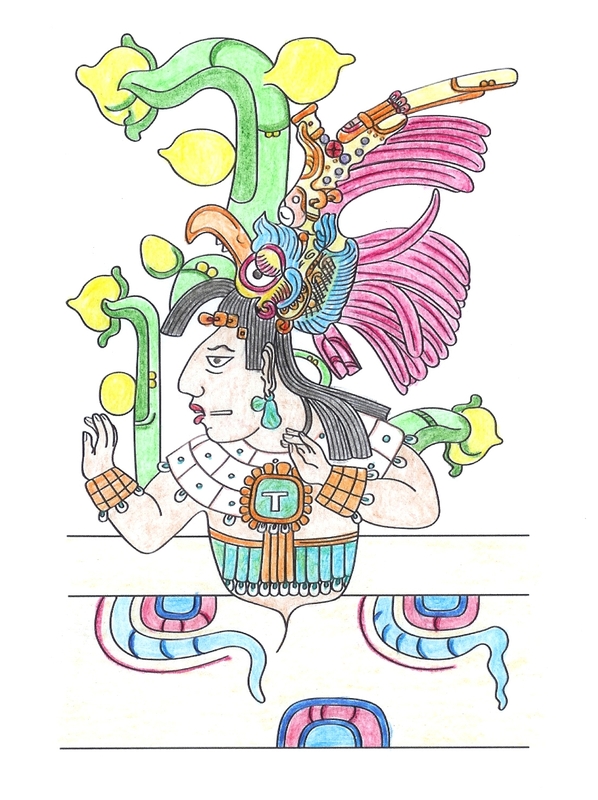 Her life overlapped with that of Pakal, and her pyramid tomb adjoined his, so it seemed evident that there was an important connection between them. Additional corollaries in their burials include a monolithic lidded sarcophagus inside a mortuary crypt, jade masks, diadems, jade beads, pearls and three small axes in a ceremonial belt. 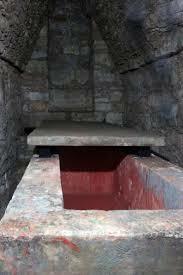 Both skeletons and insides of their sarcophagi were painted red with cinnabar. 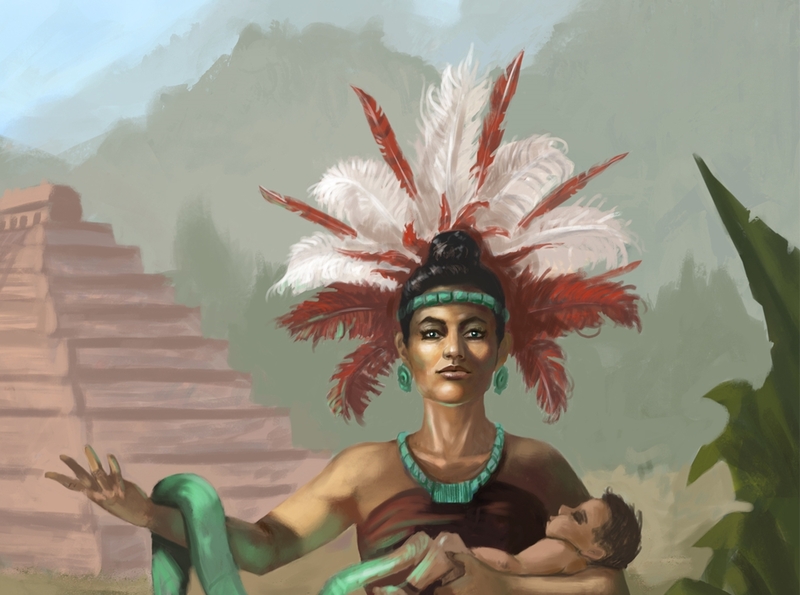 Two significant women in Pakal’s life died in that time period: his mother Sak K’uk and his wife, Tz’aakb’u Ahau. Some archaeologists believed the Red Queen was his mother; others favored his wife. 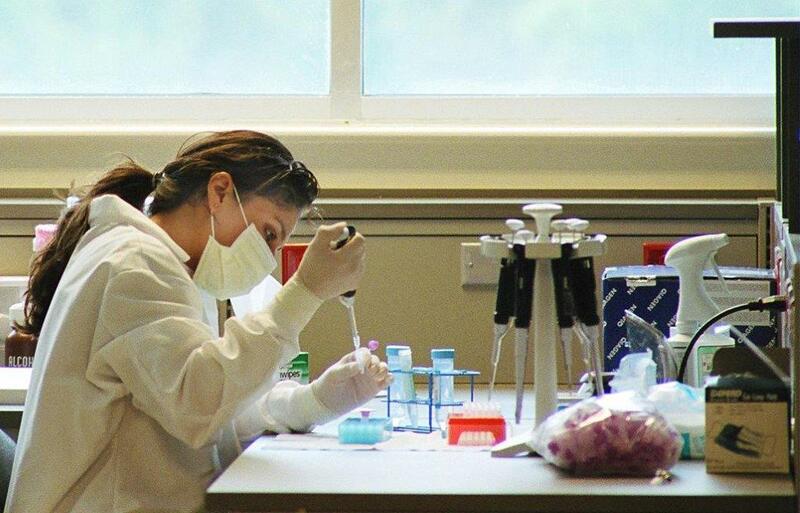 In 2012 the mystery was most probably solved when DNA studies revealed that The Red Queen and Pakal did not share common DNA. 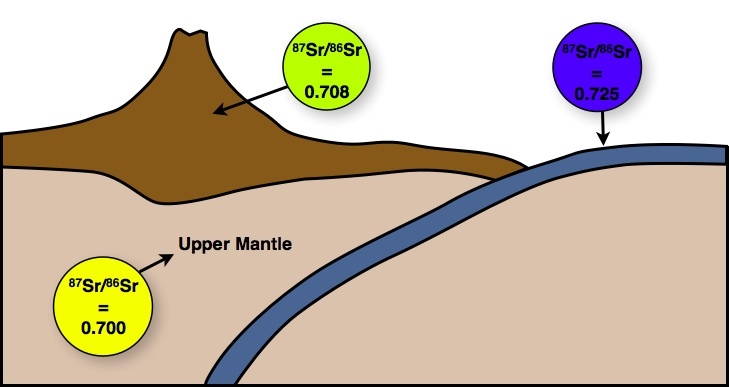 This was further supported by strontium isotopes studies conducted a few years earlier showing that the two grew up in different areas within the region. 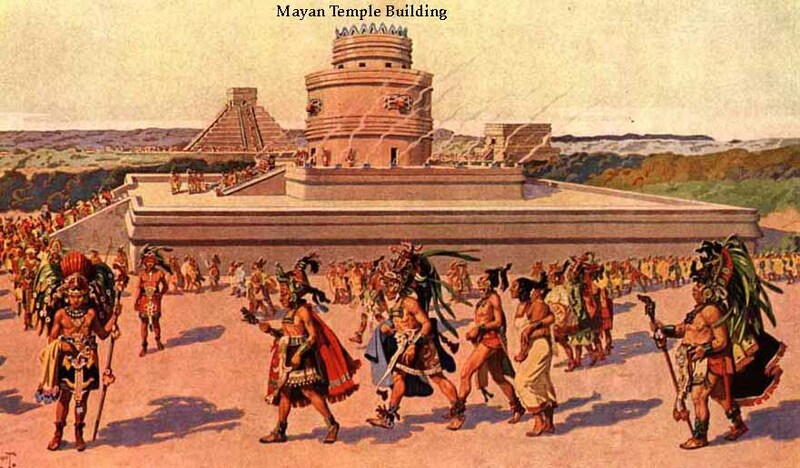 Now most agree that Pakal’s wife, Tz’aakb’u Ahau, was interred in Temple XIII and she is The Mayan Red Queen. What do we know of her life? 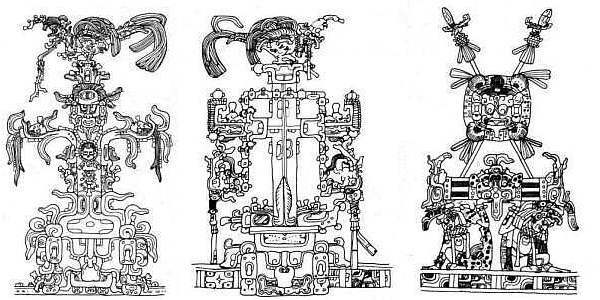 These follow lengthy descriptions of actions taken by Pakal, and the dates are tied into the Long Count calendar by use of a Distance Number to the nearest Period Ending, which was 9.9.13.0.0 (3 Ahau 3 Uayab) or 626 AD. 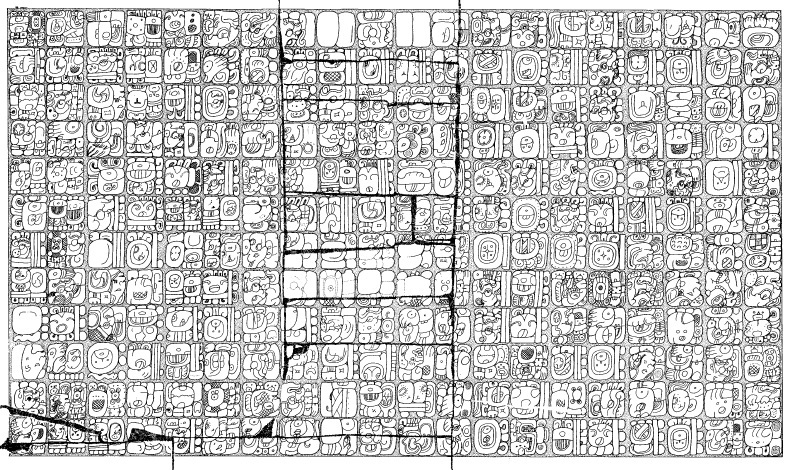 These later passages of the West Tablet were commissioned by their oldest son, K’inich Kan Bahlam II, after his father’s death. He recorded the marriage and deaths of his mother and father. 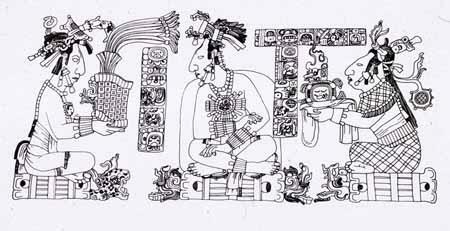 Tz’aakb’u Ahau is depicted in carvings on two tablets from Palenque. 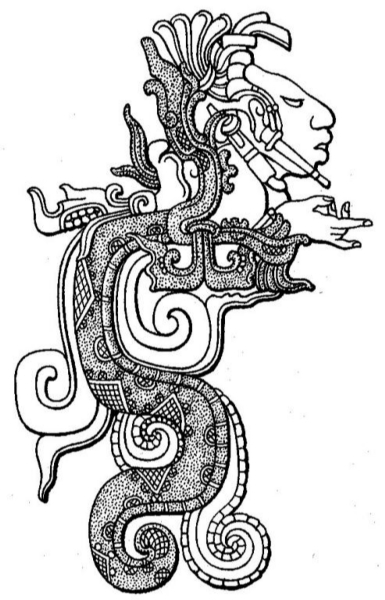 The Palace Tablet has carved relief figures showing her third son, K’inich Kan Joy Chitam II, seated on a double-headed serpent bar, receiving the headdress of royalty from his father Pakal, as his mother (Tz’aakb’u Ahau) offers him the god-figurine symbol of divine ancestry. This large tablet filled with rows of hieroglyphs originally adorned the rear wall of the Palace’s northern gallery, Houses A-D. 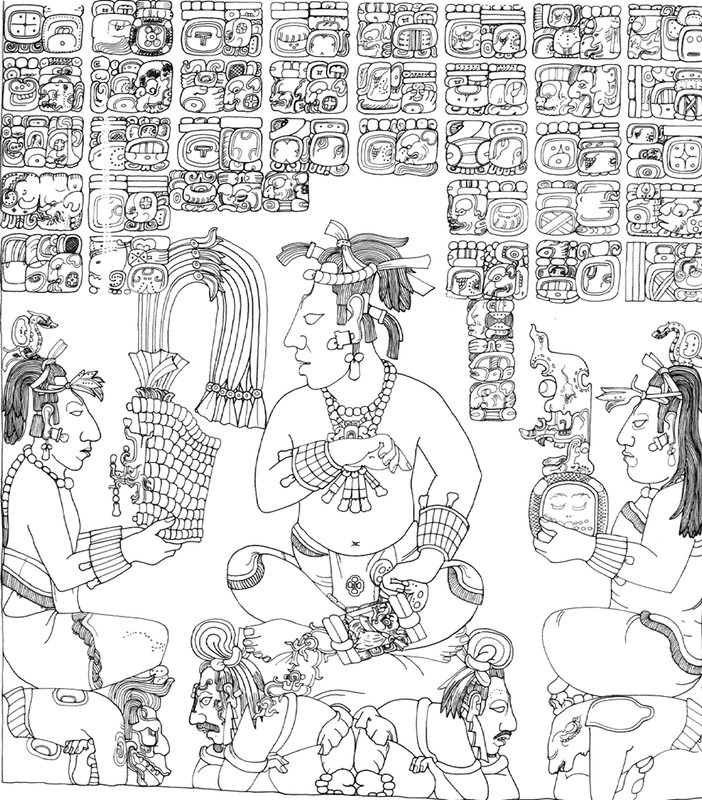 The Dumbarton Oaks tablet shows a young K’inich Kan Joy Chitam II dancing in the guise of the rain god, flanked by his mother and father. This is the only surviving part of a larger composition that probably was surrounded by glyphs. The stone tablet was illicitly removed from an unknown temple in the mid-20th century; it now resides in Washington, DC. 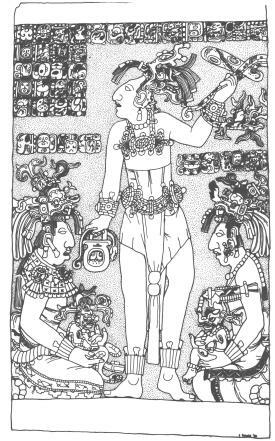 Such fragments of evidence give a little knowledge of The Mayan Red Queen’s life: she came from a nearby city, married Pakal in 626 AD, bore him four sons, participated in accessions rituals symbolically after her death, and died in 672 AD, eleven years before Pakal’s death in 683 AD. 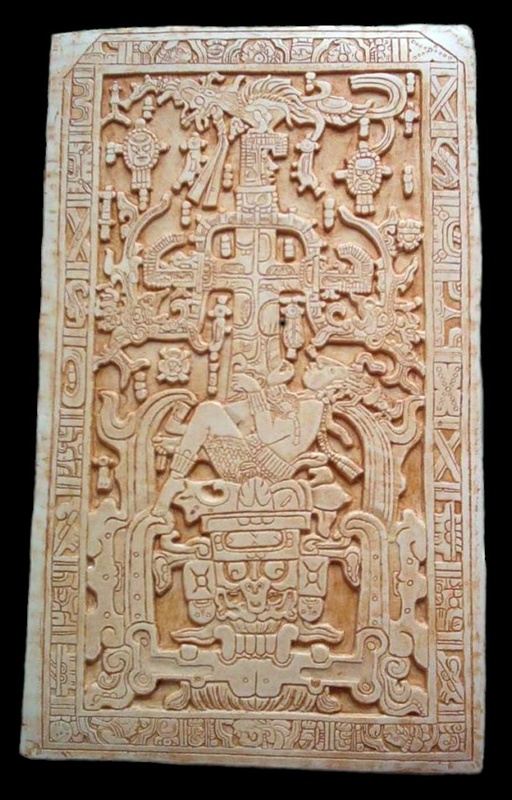 She was buried regally in a smaller temple adjacent to Pakal’s. Would you like to know more about what her life might have been? 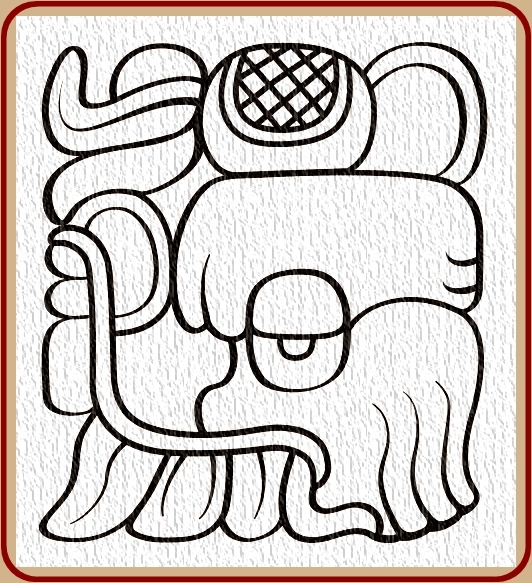 Her imagined story is told in my historical fiction book The Mayan Red Queen: Tz’aakb’u Ahau of Palenque. 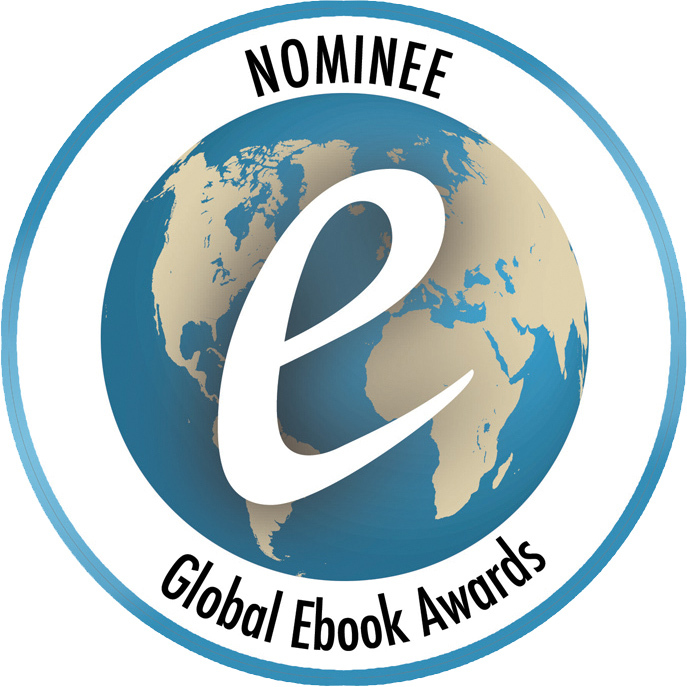 It has been nominated for a 2016 Global Ebook Award!